Synopsis: The CR 238 to Toronto is going to be significantly delayed. 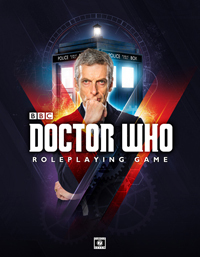 Boarding the train, the Doctor and Riddell learn that it has become the target of saboteurs. In the first-class dining car, panicked passengers are succumbing to an unconventional poison. Among them is Brigadier General C.G.I. Coupland, a senior military official who clings to consciousness long enough to reveal that he has been placed aboard the train to safeguard the Unified Intelligence Taskforce’s most closely guarded secrets. Backup is unlikely, for outside an unexpected snow storm is becoming a full-blown blizzard! As the train is plunged into darkness and slows to a standstill, the Doctor and his allies set out to search its secure cargo cars. There they meet up with an old friend—one of UNIT’s extraterrestrial operatives—and uncover a cache of strange and powerful artefacts bound for UNIT’s Black Archive beneath the CN Tower in Toronto. Perhaps the most powerful of these is the ion drive, a salvaged spacecraft engine that has been modified by UNIT’s boffins to operate as a means of controlling the weather! 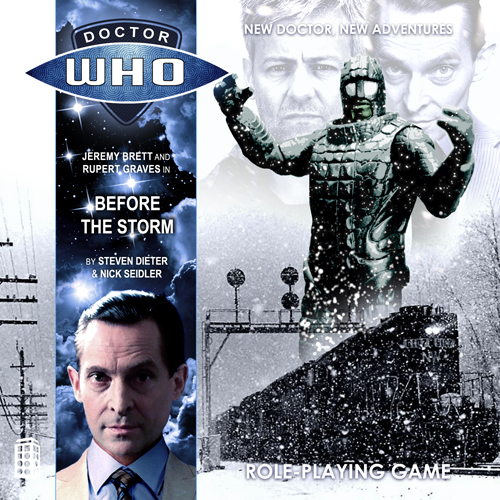 As the storm intensifies and heavily armoured alien soldiers close in on the snowbound train, the Doctor begins to understand the strategic value of Coupland’s operation and the nature of the enemy that threatens it. The Ice Warriors of Mars have been monitoring UNIT for some time, and the 238 to Toronto represents a strategic opportunity that they will not fail to seize! This entry was posted on 09/04/2017 by hedgewick. It was filed under The Lost Doctor and was tagged with Before the Storm, Episodes, Flo, Ice Warriors, Riddell, UNIT.